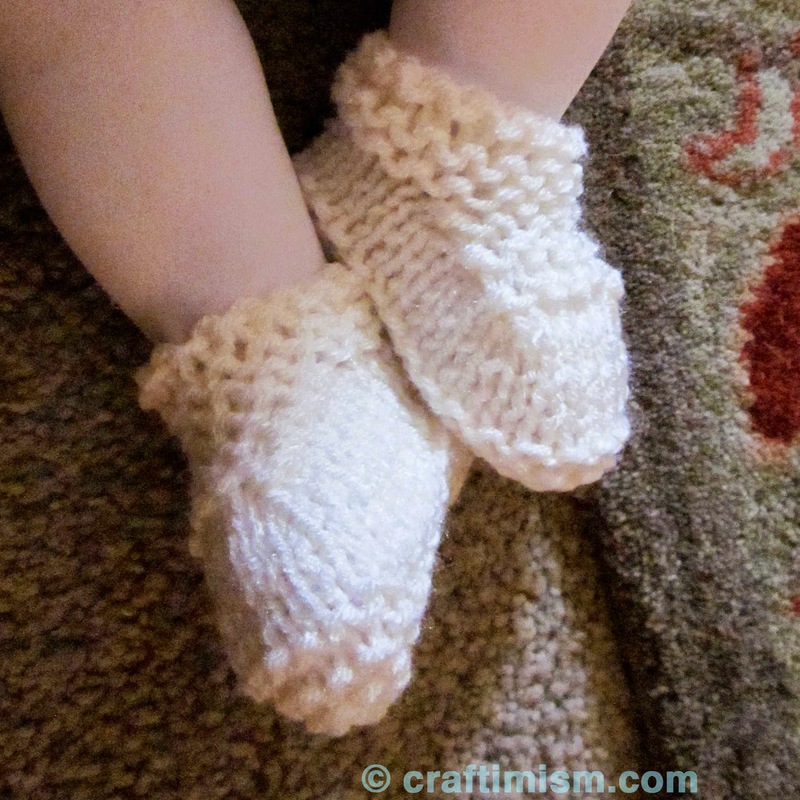 This is a super easy pattern for baby slippers. These slippers can be knit up in a few hours and are the perfect gift for a baby shower or the baby kiddos in your life. These can be made out of any scrap yarn, baby yarn, or worsted weight yarn. The green slippers pictured above are made out of worsted weight yarn. 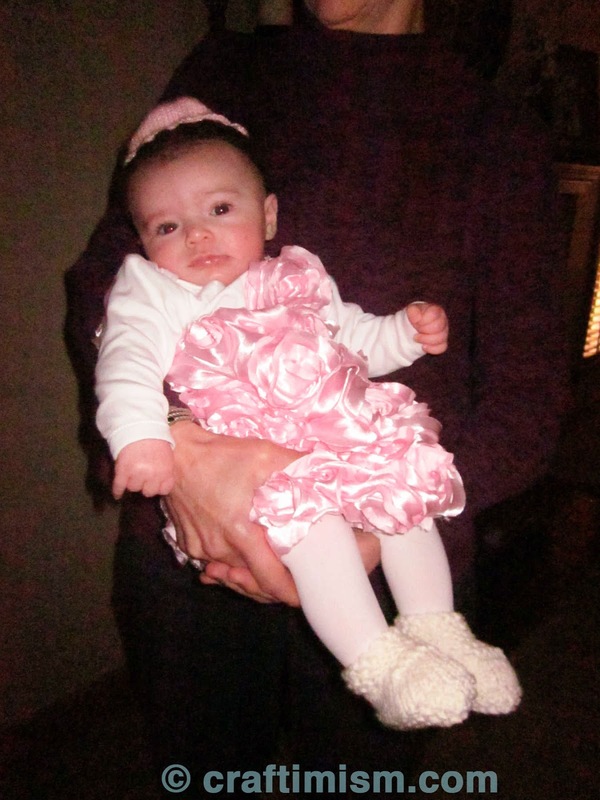 The cream slippers pictured on my niece Taryn are made out of Sensations Boucle yarn. The pattern for these slippers can be found here. This pattern was based off a pattern I found online in 2008. The original link for that pattern was broken, so I scanned that pattern and you can find it here. The slippers look like this after casting off. The slippers are folded and the back and bottom are sewed together. Here is a picture of the seam along the bottom of the slipper.